Click any instructor’s name to open their full bio! Ever heard of Keith LeBlanc? Perhaps your answer is, "yes"; even so, most would answer "no", that they have no idea who Keith LeBlanc is. Of course, if you know a small subset of the artists Keith Leblanc has drummed with, it's likely you will know a few. Keith has drummed with Grandmaster Flash, Annie Lennox, Nine Inch Nails, Depeche Mode, The Rolling Stones, Tina Turner, Peter Gabriel, Living Colour, and Ministry. Yet, no matter how many bands and artists he works with, and platinum records he has his hands in, he still flies under the radar. Keith's landmark album "Major Malfunction" (WR005) was of great influence to a whole generation of musicians. The album, a reaction to the 1986 disaster with space shuttle Challenger, started off a whole new genre of industrial music. When Keith LeBlanc got his gig at sugarhill records in 1979, there was no such thing as a hip hop drummer. There were no drum machines., just DJs cutting beats off records. Keith was the first to do it on drums. Keith LeBlanc's beats are some of the most copied in the world. Keith and his pals Doug Wimbish and Skip McDonald wrote the book on hip hop tracking. These guys should have been some of the first elected to the hip hop hall of fame. But for some reason they have been overlooked. Keith invented many drumming techniques that are still used in hip hop tracks today. Along with Pumpkin Eroll Bedward, he also pioneered the use of drum machines in hip hop. When these guys were cutting the first hip hop records RUN DMC was still in school! From 1979 to 1981 It was said that these guys were on almost all the turntables in the world at once ! Don graduated Berklee College of Music where he majored in Performance as a Drumset Principal. Don graduated from CCSU with a degree in Philosophy and a Concentration in Music. Don has studied the drumset and percussion with many instructors including Casey Scheuerrell (Jean Luc Ponty), James Haddad (Dave Lieberman), John Ramsey (Jazz Messengers), John Hazilla, Dave Dicenso (Hiromi), Tom Melito (Jerry Bergonzi), Tom Dest, Frank Giguere (Street Temperature) Victor Mendoza (Papquito D'Rivera), Connie Coughlan (U.S. Coast Guard Band), and Jim Clark. Donny was also one of JC Music's first drum students when he studied with JC Caillouette (Owner of JC Music). Don presently teaches many students at JC Music, performs jazz with The Brian Cyr Project and multi-genre cover music with Baltic Avenue. He recently performed as a drumset artist for Laurie Katherine Carlsson (Seattle) and Maggie Kim. Don has performed raggae with Marvin and the Sunrays and jazz with the Carl Knox Trio, Hail Bop Jazz Quartet and with performed with punksters Mute. Since JC Music's drum teachers are often on tour, Chuck Peterson is one of JC Music's short and long term teachers. He is perfectly fit for this role because of his versatility. This protégé of drum legend Keith Leblanc (who also teaches at JC Music when he's not on tour) has made it a point not to be limited to one type of musical style. He draws inspiration from many influences such as Tackhead, Tool, Miles Davis, Nirvana, the Beatles, Radiohead, Earth, Wind, & Fire, etc. Chuck studied drums and audio engineering at the University of New Haven, and is quite an active session musician. He divides his time between drumming for Jaeme Brennan and the Electric Soul and doing numerous studio projects, as well as instructing at the Amistad School in New Haven and at JC Music in Meriden. In 2004, Chuck was nominated as "Best Drummer" in the Hartford Advocate's Grand Band Slam and also appeared in Zildjian Time Magazine. He has performed at venues with other well known musicians like Vernon Reid and Little Axe and played at venues with Headfake, Tackhead, and Blue Oyster Cult. According to band manager Drew Exile, "With a strong desire to enhance his skills and a God given ability to play, Chuck Peterson is on the verge of being recognized as one of the hottest 'up and coming' stars to hit the drumming scene." Paul attended Eastern Connecticut State University and graduated in 2013 with a Bachelor’s in Music Performance, specifically percussion. He has been a percussionist since age 8 and a pianist since age 14. He currently plays with the Hamden Symphony Orchestra, the WesWinds Ensemble at Wesleyan, and the Augusta Curtis Concert Band in Meriden. Jon Peckman can be seen performing all over New England and beyond with various regional acts. He is also a published author of the instructional book 'Picture Yourself Drumming'. His encouraging coaching style is perfect for beginners as well as advanced players in any style with a focus on rock and song-oriented styles. He can also accompany you on bass guitar in your lessons so that you can experience the fun of making music with others right away. Jon Peckman has been a professional drummer for 30 years and a teacher for 20. He can be seen performing all over New England and beyond with various regional acts. He is also a published author of the instructional book 'Picture Yourself Drumming'. His encouraging coaching style is perfect for beginners as well as advanced players in any style with a focus on rock and song-oriented styles. He can also accompany you on bass guitar in your lessons so that you can experience the fun of making music with others right away. Brian Chrzanowski and JC Music offer Connecticut piano lessons and trumpet lessons of the highest quality! Brian started taking piano lessons at age four. He has been a school accompanist in elementary, middle, high school and college, and still plays for school concerts and trips, which include playing for adjudication's in Virginia, Hershey (Pennsylvania), Toronto, and EPCOT Center in Disney World. Brian has a degree in music from Central Connecticut State University and also studied at Plymouth State College in New Hampshire. Along with the piano, he has been taking trumpet lessons since the 5th grade. He has played lead trumpet in Symphonic and Jazz bands in both high school and college. Brian is enthusiastic and excited about instructing the serious student in the art of creating music. Chrystal Martinez is a motivated music educator in creating exciting and entertaining learning environments. She is trained in the Gospel and Classical music methods. Chrystal studied with mega church pianists and teachers just outside of Chicago, IL. She started her studies at the age of 14 and was privately instructed for 16 years. Chrystal has been a piano teacher for 11 years teaching piano lessons in and outside of the United States, occasional group lessons, and children’s choirs. She trains other church pianists, as she was trained, to help give churches variety in their performances. She has organized and directed special music events and recitals. She has been a church pianist for 10 years and is currently assisting churches with music in the Northeast. As a teacher, Chrystal Martinez is patient, creative, innovative, and confident. She is deeply committed to a high standard and excellent quality of musical education. Kevin holds a B.A. in music from Western Connecticut State University. For the past 20 years, Kevin has been involved in the community performing with many ensembles including the The Danbury Symphony Orchestra, The Danbury Brass Band, Park City Pride Combined Alumni Drum & Bugle Corps as well as several community theatres. During this time, Kevin has also performed as a soloist throughout Connecticut, including Stamford, Norwalk, Danbury, Waterbury, New Haven, and Hartford. Kevin is a sought out private instructor teaching all brass instruments throughout Connecticut for the past 22 years. His students have consistently particpated in Middle School and High School Regional and All-State Festivals. Kevin has also been involved with Drum Corps for 10 years. During his ten years in the activity, Kevin has been a brass instructor for the Bridgeport P.A.L. Buccaneers and is also on staff with the CT Hurricanes Drum and Bugle Corps. Bill Fischer is known as one of the nicest and most easy-going of all the faculty of JC Music's Lessons Program. Bill is a graduate of Lyman Hall High School where he played under the direction of Dr. Otto. He also studied at the Berklee College of Music under Joe Viola. Bill performed with the Choate Summer Jazz Program under Phil Wilson and has over 25 years of professional experience performing on the saxophone with numerous local and national acts. He also studied with the famous jazz artist Jackie McLean. One of his favorite sax players is Roland Kirk, who famously played multiple saxophones at once. Student may choose a specialty, i.e. Music Theory Lessons, Music History Lessons, Ear Training, Music Ed Prep, Composition or Instrumental Conducting. JC has been JC Music's General Manager since the business was formed in 1988. As a musician, JC has over thirty-four years of experience in playing and performing on musical instruments. He studied for six years with the late drummer Jim Roszelle from the Hartt School of Music and the group Spiral. JC then studied for six years with world renowned and internationally recognized jazz drummer Ed Soph. Ed has performed with Stan Kenton, Woody Herman, Clark Terry, Eddie Daniels and countless others along with presenting master classes throughout the world. JC went on to study percussion for four years with Constance Coghlan, principal percussionist of the U.S. Coast Guard Band. JC has performed with many area bands and has performed many shows as the former drummer for the "On Stage Performers." JC is a former member of the Rock/Blues band "TBC". JC holds a MME, Master of Music Education Degree, from CCSU where he received the President's award for Academic Excellence in the field of Music. JC is presently a co-director and founder of Meriden's Augusta Curtis Concert Band. *These are music and music theory lessons specifically designed to prepare the student who has an interest in becoming an instrumental music educator or band director and is considering a degree in Music Education. Get a huge head start on other college freshmen by learning the basics of the audition, the entry exam, and the basic background knowledge necessary to be a star in your core musical subjects that will be presented during that all important and challenging first year. Jeff has been teaching since 1972, after graduating from Hartt College of Music. He has taught in schools, and most recently retired from Hamden Hall Country Day School after 25 years. He is currently the choir director at Bethany Lutheran Church in West Hartford. He has been a soloist at several area churches, as well as a performer at many restaurants and parties. Jeff has also been seen in Gilbert and Sullivan operas with the Middletown Gilbert and Sullivan Players. Jeff has studied voice with Mary Mack, as well as Dr. Peter Harvey. He has studied piano with Herbert Chatzky, Charles Gigliotti, and Bruce David Smith. Jeff is an all-around musician, and he really enjoys working with his students, making the process of learning fun. He lives in West Hartford with his wife Linda and his cat Cordelia. His daughter, Katrina, lives in Saratoga Springs, New York. Cassandra Moore is a dynamic performer, bringing the joy of the violin repertoire to a wide variety of audience members in the greater New England area. As soloist, Cassandra has appeared in performances on the North Shore of Boston in addition to giving a series of recitals for Madison, CT and the surrounding area. Cassandra has appeared in collaborative performances throughout New England and abroad, touring South Korea and Hong Kong with two quartets and larger string orchestra in 2017. Cassandra studied under the tutelage of Sarita Kwok and Susan Kim at Gordon College, receiving her Bachelors in violin performance in 2018. An enthusiastic chamber musician, Cassandra remains active in her pursuit of string trio, quartet, and collaborative piano repertoire throughout her graduate studies with Anton Miller. Cassandra has served as mentor for both Northeast Massachusetts Youth Orchestra and the Brooks School orchestra, in addition to teaching on violin faculty at Covenant Christian Academy in Peabody, MA. Her pedagogical philosophies include the influences of Darcy Drexler, Mimi Zweig, Carrie Rehkopf, Edward Kreitman, and Dr. Shinichi Suzuki. While pursuing her Masters in violin performance and pedagogy from the Hartt School, Cassandra is studying pedagogy under the instruction of Teri Einfeldt. Shawn Matyasovszky is an American classical guitarist from Connecticut. He has performed with various groups at and around Central Connecticut State University including the CCSU Guitar Ensemble, the Hartford Classical Guitar Ensemble, as a soloist with the CCSU Sinfonietta, and as a soloist with our local Agusta Curtis Cultural Band. As a solo performer, Shawn has interests in Baroque and Renaissance era music. Shawn trained as a classical guitarist with CCSU and Hartt School of Music professor Christopher Ladd. 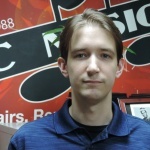 He holds a BA in Music from Central Connecticut State University. As an educator, Shawn has a strong focus on musical literacy and ensemble playing. He has been active in the classroom guitar programs in both Plainville and Bristol Central high school, as well as the After-School Program at the Middle School of Plainville. Shawn teaches students of various age groups. Sierra Manning is currently earning a B.S. in Music Education at Central Connecticut State University. As a vocalist, she performs regularly with the CCSU University Singers, where she is Soprano section leader. Also at CCSU, Sierra serves as the President of the school’s chapter of the National Association for Music Education, as well as the Secretary for the American Choral Directors’ Association. Outside of CCSU, Sierra has performed with the Simsbury Light Opera Company (SLOCO), and CT Lyric opera. She has also participated in countless musicals throughout her musical career. Sierra is excited to share her passion of music with her students! Having started at a young age, Ed has been playing guitar for over 20 years. He holds a Bachelor of Arts degree in Music from Western CT State University where he studied with some of New England's finest professors in both the classical and jazz genres. Ed has spent many years playing all over the state with his band Clearlight Industries, whose latest album was called “engrossing......virtuosic ......and intriguing” by the New Haven Advocate. As far as the live show, Thomas Pizzola of the New Haven Advocate wrote that “Diaz is an accomplished guitarist, able to whip off ripping solos and make it look effortless”. Many of Ed's students have gone on to form bands of their own and some have even pursued music at the collegiate level. He’s is an extremely versatile musician, having studied most every guitar style imaginable. He is comfortable playing anything from a classical to jazz to metal and everything in between. Ed's guitar influences include: Adrian Belew , Robert Fripp, Buckethead, Yngwie Malmsteen, Steve Vai , Joe Satriani, Joe Pass, Kirk Hammet, Charlie Christian, and many others. He's also influenced by lesser known musicians from the world music genre including: Ravi Shankar, S.E. Rogie, Ali Fraka Toure and others from Asia and Africa and South America. When not playing guitar, Ed can often be found in the studio producing and engineering for himself and others. As the owner of a project studio, he keeps up on all the latest music- related hardware and software and even builds and configures computer audio systems for use as production stations. JC Music offers lessons year round! We are proud to offer a wide variety of music lessons for voice and most instruments. Our focus on students and education has led us to become a leader in music education in Connecticut. JC Music works closely with CMEA and the Yale School of Music’s “Music in Schools” Initiative. We have highly qualified music teachers and are happy to work with you to find the most compatible match in both musical expectations and personality between the teacher and prospective student. It is our goal at JC Music to make the learning of an instrument an enjoyable and educational experience. We offer bi-annual Student Showcases to give our students live performing opportunities. We also offer Summer music camps to keep our students inspired all year! Many former JC Music students have gone on to audition at prestigious universities and have successfully gained entry into elite music programs. Some have received scholarships, while others have even returned to JC Music as part time faculty members! Teaching music was once an unconventional career choice, but it has now become quite popular. Many people from all over the world are taking up music as their career choice. An increase in the number of music reality shows has also helped to make the profession more popular than ever. JC Music’s combination of private instruction and live performing opportunities has made it a very popular choice for pursuing one’s musical interests and career ambitions. Many of our former students have also joined the music industry as teachers, composers, professional musicians and professional singers. JC Music has a proven track record over its 25 year history of providing an unrivaled private educational program. Our serious standards, which are focused on having each student reach their potential though reading music, learning theory, and developing stage presence, have led and inspired many of the most talented musicians known in Connecticut today!